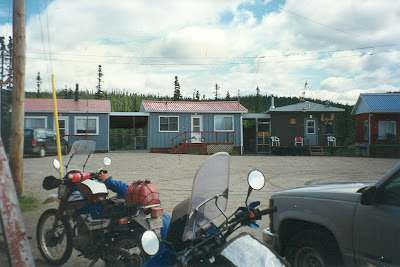 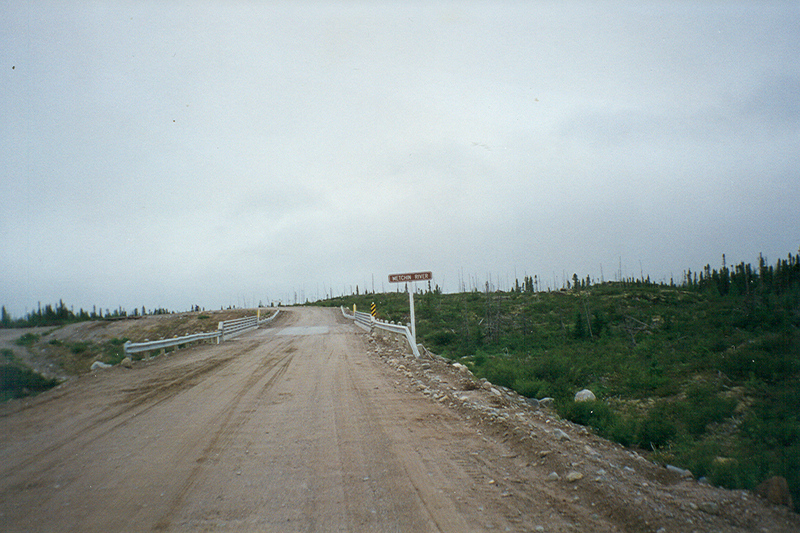 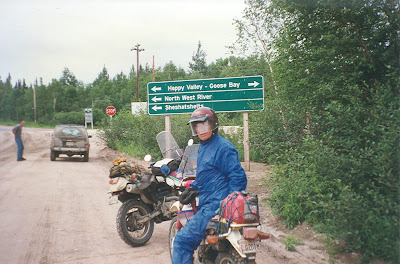 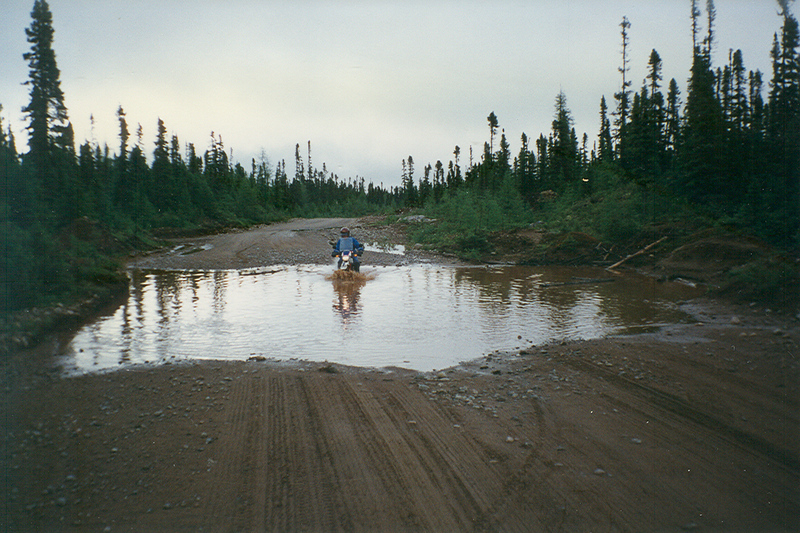 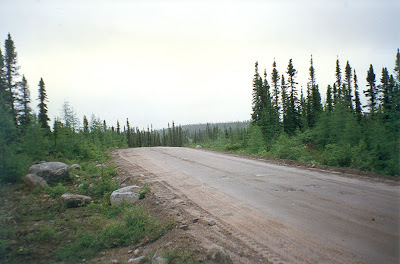 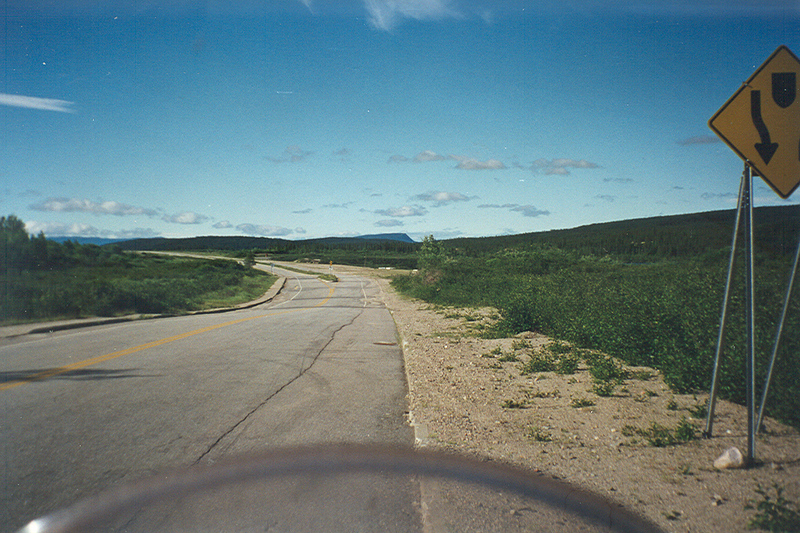 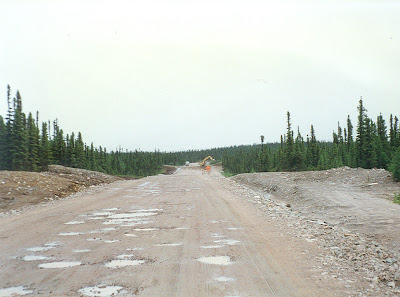 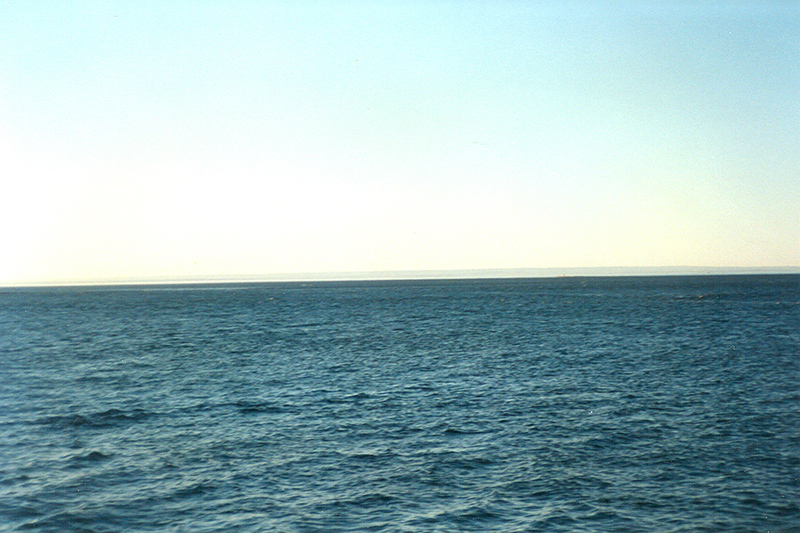 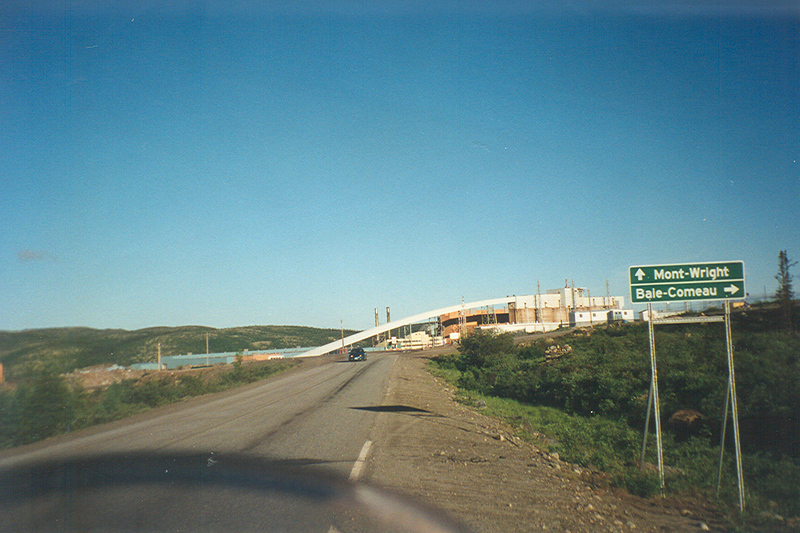 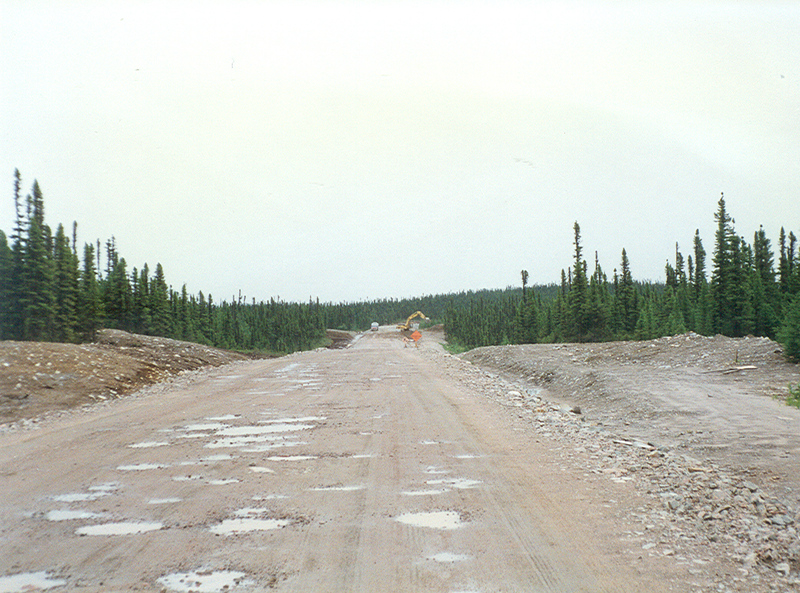 In 1997, Jake Herzog and I rode to Goose Bay, Labrador through northern Quebec by way of the newly-opened Trans-Labrador Highway. 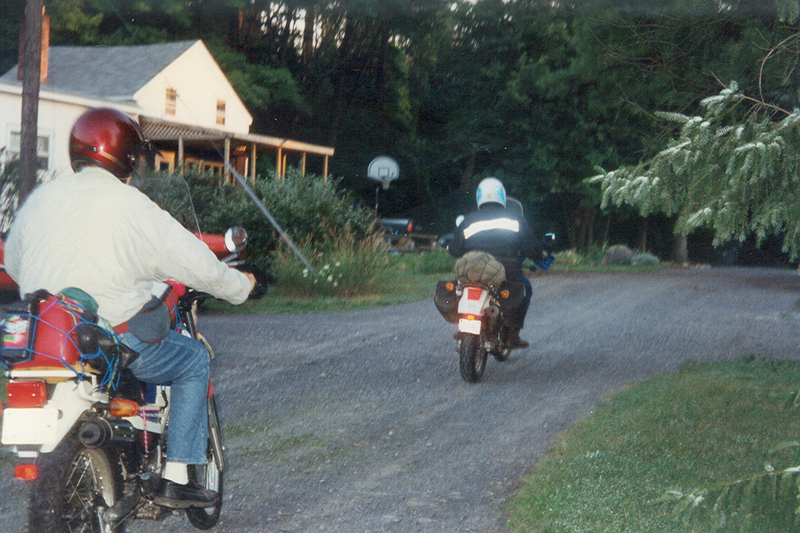 Jake rode his Kawasaki 650cc KLR and I rode a small Yamaha 225cc Serow from my home in the lower Hudson Valley in New York. 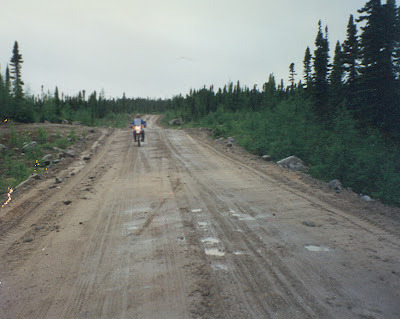 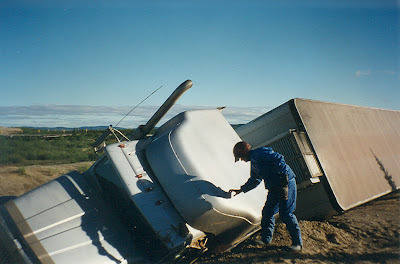 Much of the final 180-mile stretch of road into Goose Bay was described as pit-run gravel, although it wasn't quite that bad. 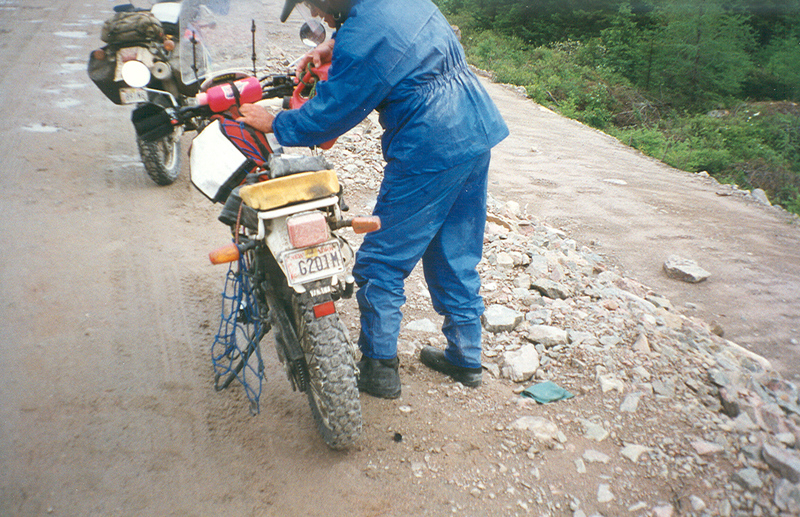 When we returned, I wrote an article for the American Motorcyclist magazine that appeared in their May 1998 issue. 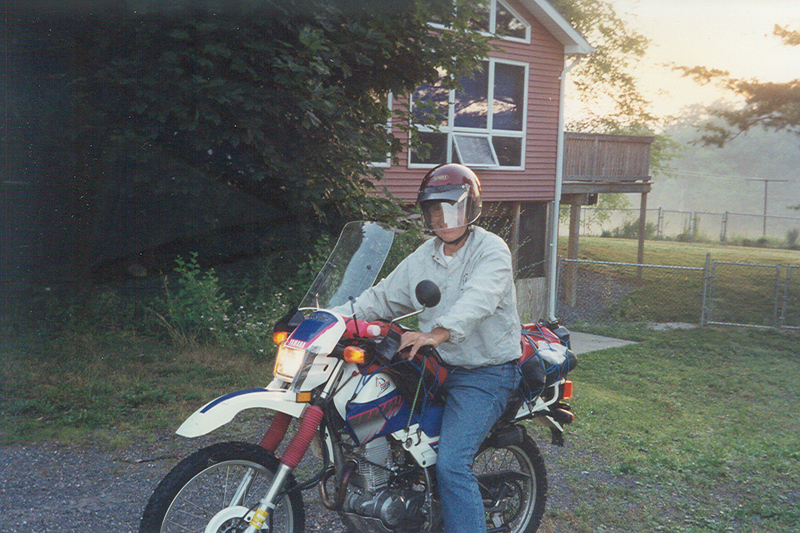 For my efforts, I was later awarded the Joe Christian Award for outstanding freelance writing, which was a $500 cash award. 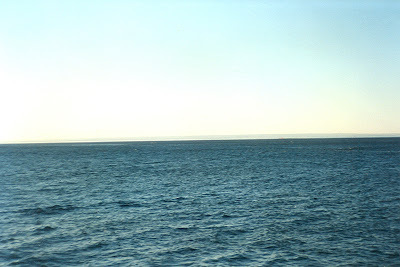 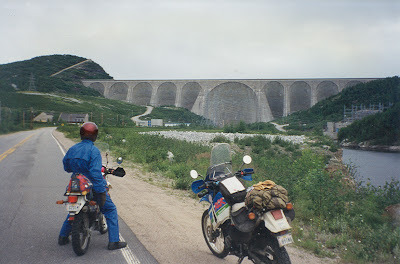 A longer, unedited version of the story appears in my book, Motorcycling Stories – Adventure Touring from the Northwest Territories to the Yucatan Peninsula. 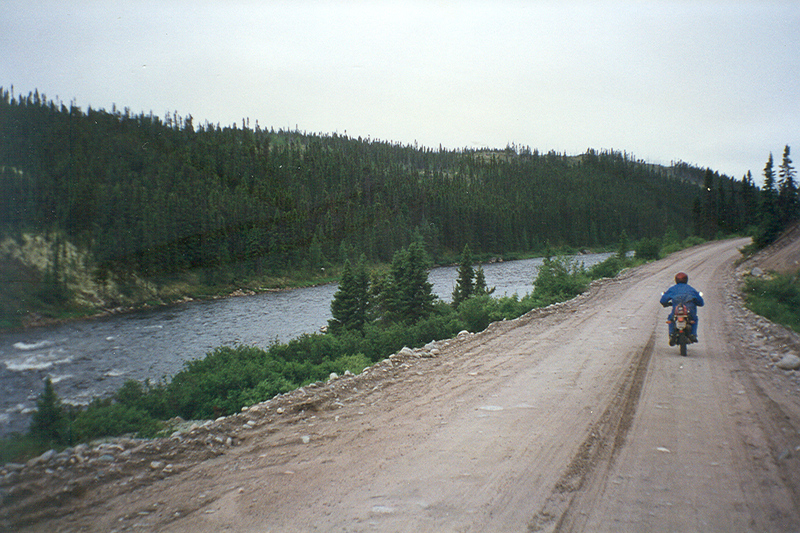 I broke my camera on a mishap during the trip so the photos below were taken by Jake with his camera. 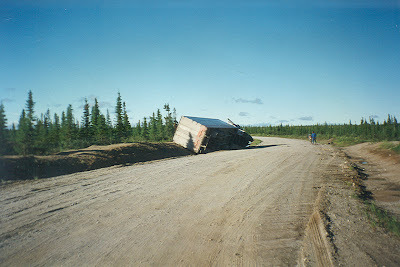 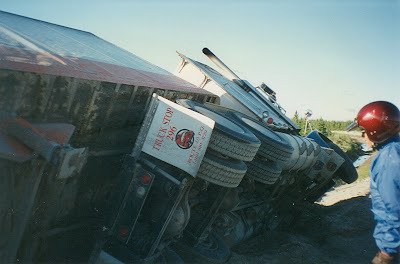 An 18-wheeler that slid off the road and overturned. Refueling with spare gas that I was carrying.